Okay, kale lovers, we heard you! 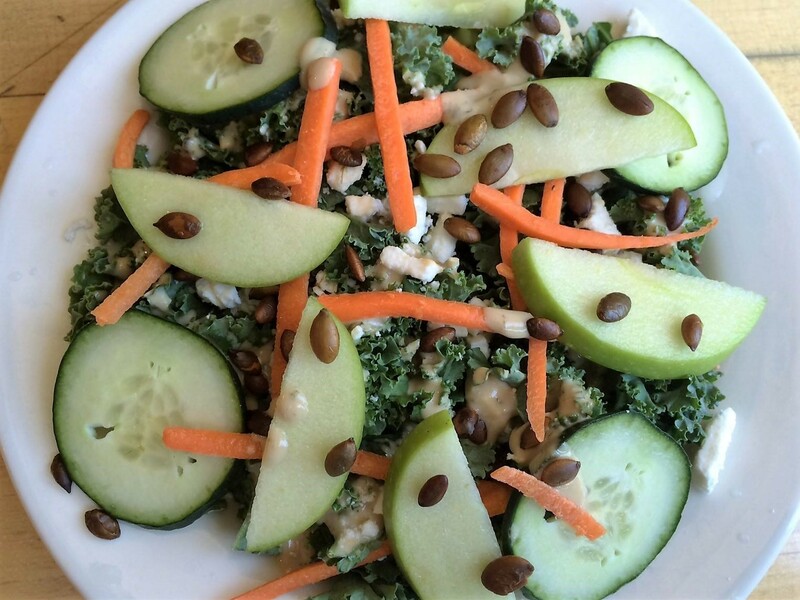 Our Kale salad is back in Oakland and Berkeley. This perfectly refreshing salad has kale (of course! ), feta, matchstick carrots, green apples, cucumber, and roasted pumpkin seeds. It’s tossed in our house-made Tahini dressing. It’s light, refreshing, and tasty. AND it’s a perfect way to get some veggies in before moving on to PIZZA!